Sean George is the CEO of Invitae, and serves on its Board of Directors. 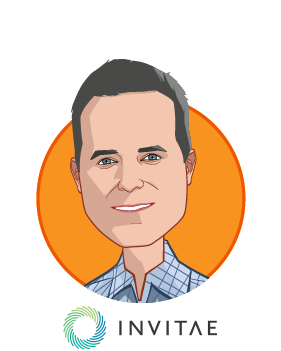 Sean is at the forefront of a fundamental shift in healthcare. He’s leading a team that is creating a new model at Invitae to transcend traditional diagnostic silos in favor of a genetic information network that can bring genetic-based healthcare to millions. Before becoming CEO, Sean served as Invitae’s president and chief operating officer. 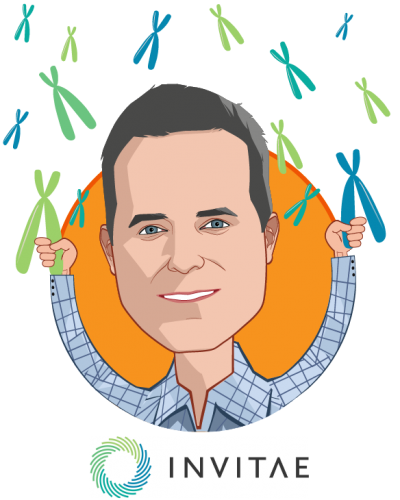 Sean was a co-founder and CEO of Locus Development, an early stage genetic analysis startup that later merged with Invitae. Prior to co-founding Locus, he served as COO at Navigenics, an early leader in personalized medicine. Previously, he has also served as SVP of Marketing and SVP, Life Science Business at Affymetrix as well as VP, Labeling and Detection Business at Invitrogen. In the past, he has also worked at McKinsey & Co. and Molecular Probes. Dr. George holds a B.S. in Molecular Genetics from UCLA, an M.S. in Molecular Biology from UC Santa Barbara, and a Ph.D. in Molecular Genetics from UC Santa Cruz.